Onward HO! I know I was a little… ok maybe a LOT dormant during Thanksgiving week…we’re having a totally bizarre family crisis.. I’ll tell you about it later. 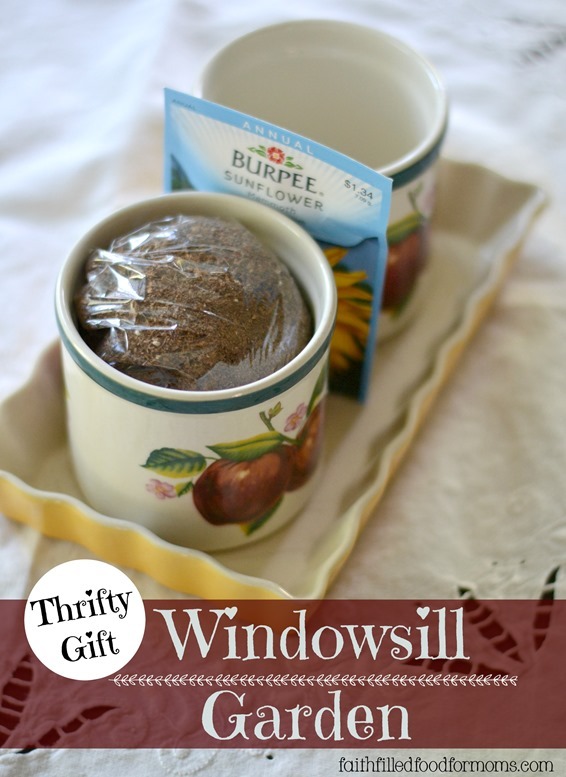 Anyhow, I wanted to share with you a fun Windowsill Garden from the Best DIY Thrift Gifts Ever ideas! You can create a special one of a kind for your cooking friends and family that costs a fraction of what you might purchase in the store and it’s so fun! 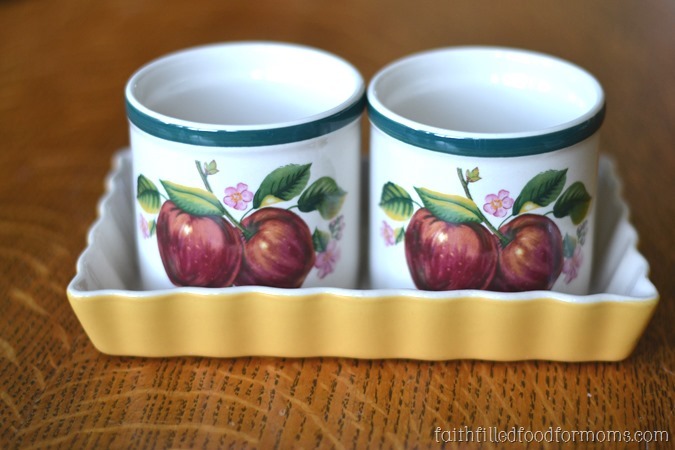 With so many beautiful cups, crocks and so forth…the sky is the limit on this one! 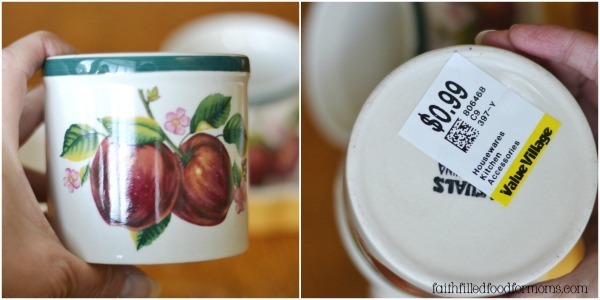 I found these two cute little kitchen crocks a couple weeks ago. So I bought them both and then found this cute little tartlet tray.. (I don’t really know if tartlet is the word for this cutie..but you know) and then put the crocks in it. Put a some pebbles or rocks in the bottom of planter for drainage. Then I packaged up some super rich soil and packaged in a Ziploc bag and tucked into the crocks. 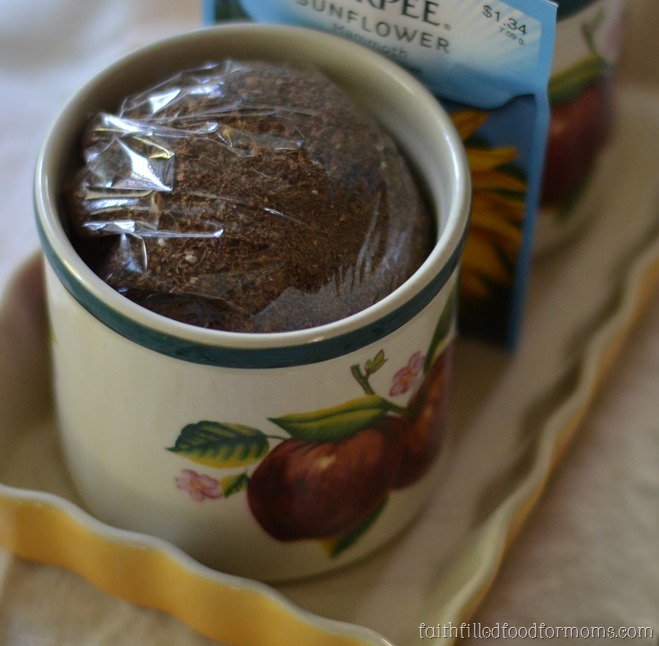 Make sure the soil is brand new and full of nutrients for seed starts. Added some seeds and boom, you have yourself a fun little garden. 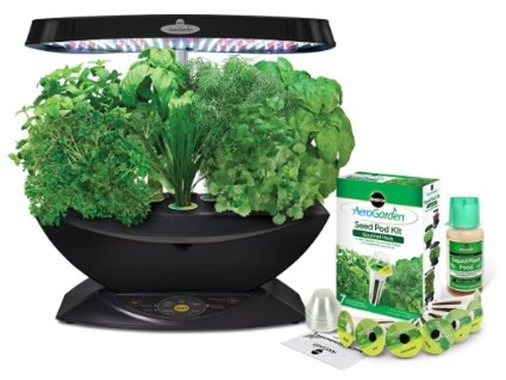 You could add any easy growing seeds such as basil, oregano or chives. Dirt: $0 because I had some..but you can buy a bag of healthy organic soil at any garden center or order online for about $4.00. 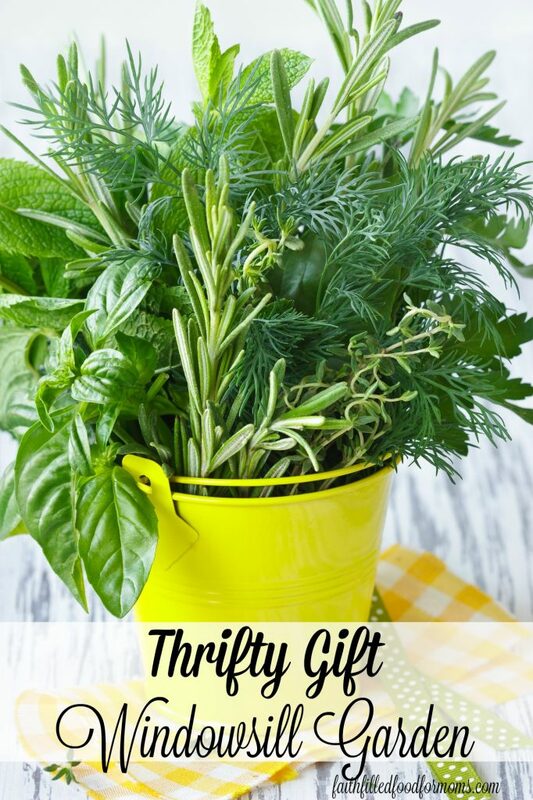 So I know that not everyone wants to do a thrifty gift or has time and I know that some may even want to go high tech…so with the holidays coming I found this totally fun Herb Garden by Miracle Gro!! I want one!! Boy the gadgets and goodies people create these days are amazing.